Do you need an electricity meter installation? Here at HP Electrical Contractor, we can help you decide the best meter option for your needs. We are a level 2 certified electrician and we can install whatever type of metering you need. The following are the electrical meter installation services that we provide. Being a level 2 certified service provider, we are able to offer a variety of metering services. We can install a new meter or upgrade your existing meter. We are able to upgrade your existing single phase to a 3 phase meter. Also, we install solar metering, off-peak meters and relay switches, separation of supply and granny flat metering. Heating your hot water tank during the day makes you subject to a high electricity rate. If you do not have a high demand for hot water it is a good idea to install an off-peak meter. This meter will allow your tank to heat your water overnight when the electricity demand is at its lowest point. Off-peak meters do not require any alterations to your hot water tank or your plumbing. We just need to add an off-peak meter and make a small modification to your switchboard. Since more people are going green and the cost of electricity is rising many people are installing solar panels. If you install solar panels you also need a solar meter. These meters are capable of reading and recording the amount of electricity your system generates. The electricity that you generate can be used within your home and any surplus can be sent back to the network. Different types of installations require different meters. 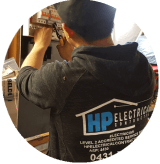 Having HP Electrical Contractor do your electrical meter installation in the Liverpool area you can be sure you will get the right meter for your system. If you need electricity meter separation for your granny flat we can install a new meter or an electricity submeter. With the use of granny flat metering, you will be able to know exactly what your tenant’s electricity consumption is. You will no longer have the headache of splitting up the charges. Meter separation might lower your electricity rate if it removes you from the higher consumption bracket. Smart meters are devices that can digitally measure energy use. With a smart meter, you will no longer have to have your meter read by a meter reader. The data will be sent remotely to your energy retailer. 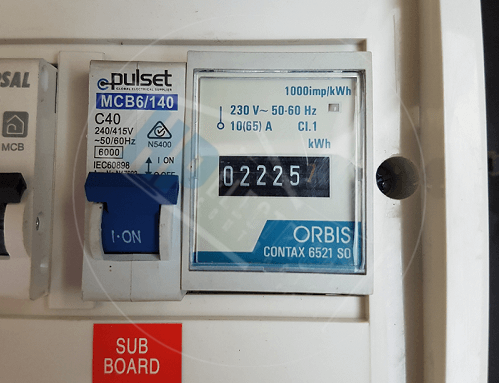 Having this meter will also allow you to shut off your electricity supply remotely. It can also notify your electricity distributor of any problems or outages. The use of a smart digital meter will help you understand your energy usage and allow you to adjust accordingly. This will give you better control of your electric bill. We are based in Fairfield East – South Western Sydney and service home owners and builders in all areas of the Western Sydney region including Liverpool, Wetherill Park and Fairfield NSW, in all aspects of electrical meter installation. Call today for your free quote, on 0431720172. We are a 24/7 service provider so you can call us day or night if you have no hot water. 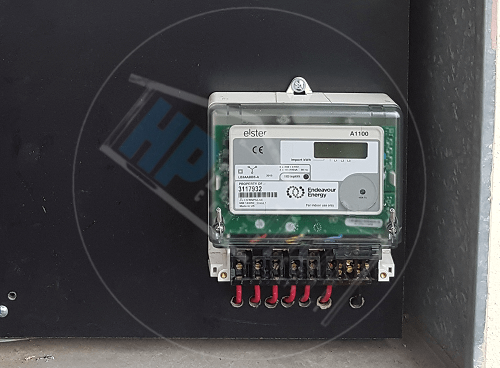 Here at HP Electrical Contractor, we are able to help you with your electricity meter installation in Liverpool & Western Sydney.